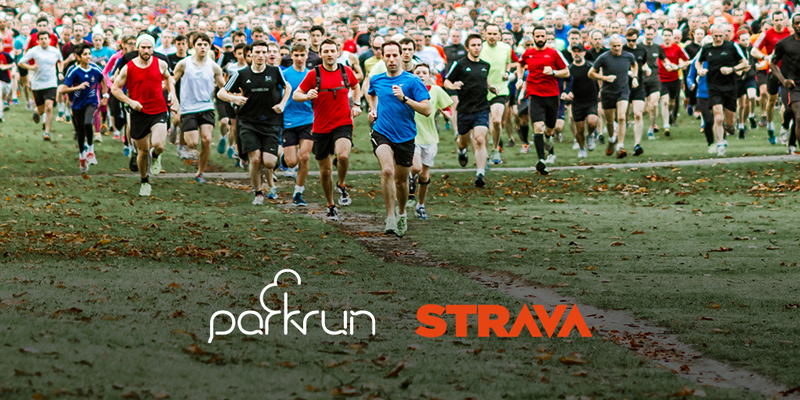 This week marked the official announcement of parkrun's partnership with Strava, which allows a link up between a runner's two accounts. Once activated, the main thing you'll notice on your parkrun profile is that there is now a button link to your Strava profile on your personal results summary page and another, smaller button link at the end of result within a venues result page for the event you ran at. There is also now a Dartford parkrun 'club' on Strava which is open for all users to join and hopefully this will have the effect of creating new friendships and strengthening our little community. I've been a user of Strava since early 2013 and I really love the social side to it. However the feature that initially drew me towards the app/website is the segments. 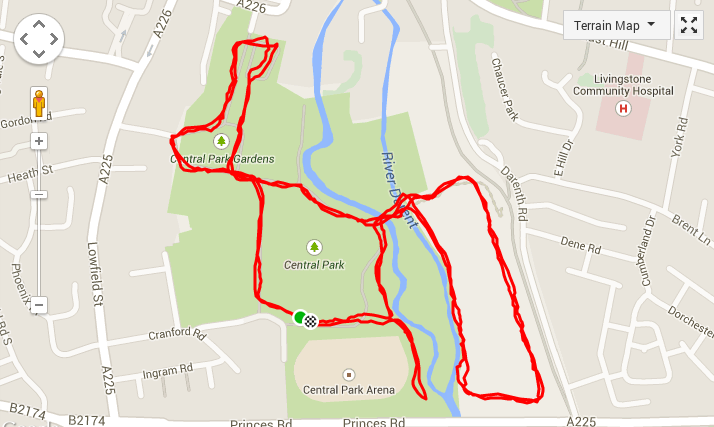 If you run the Dartford parkrun course and upload your data to Strava you will see that there are already some segments that I have created on parts of our course that you can have some fun with. Onto event 18, and even though there were three of us setting the course up we somehow managed to forget to put one of the arrows out. Fortunately it wasn't in one of our significant spots so it didn't cause a problem. The overall number of runners was down, but there was something special about the event that I can't quite put my finger on. It was probably the community spirit. The trail section is still wet and the corner at the bottom of the incline seemed to be a little more slippery than the previous week. That said, it didn't stop our first finisher from setting a new course record, so it's clearly not causing too many problems at the moment. As you can see from the image below, my GPS readings were all over the pace this morning, which was odd, but as you can see from the results I did manage to improve on some of my recent weeks' times. With the conditions on the trail in mind, we have been working on a 'b' course that we can switch to when the trail section starts to become a real safety hazard. So after the official parkrun we (me, Richey and Terry) went for a slow paced jog around the proposed alternative course to check its length and work out where the start point would need to be in order to have the finish outside the clubhouse. It looks like we've sorted it - more info will follow through the official channels. With all that done it was time to jog back home. Throughout the course of the morning I probably ran a little further (14km) than I had originally intended to run. I was supposed to be saving my legs for the following day's Kent Fitness League cross country race at Fowlmead Country Park, near Deal in Kent.